Did your pup have an accident in the house? Or did your cat miss the litter box? You can’t just clean with soap and water. Even if you can’t smell it – your pet probably can, and may return to that spot because of it. 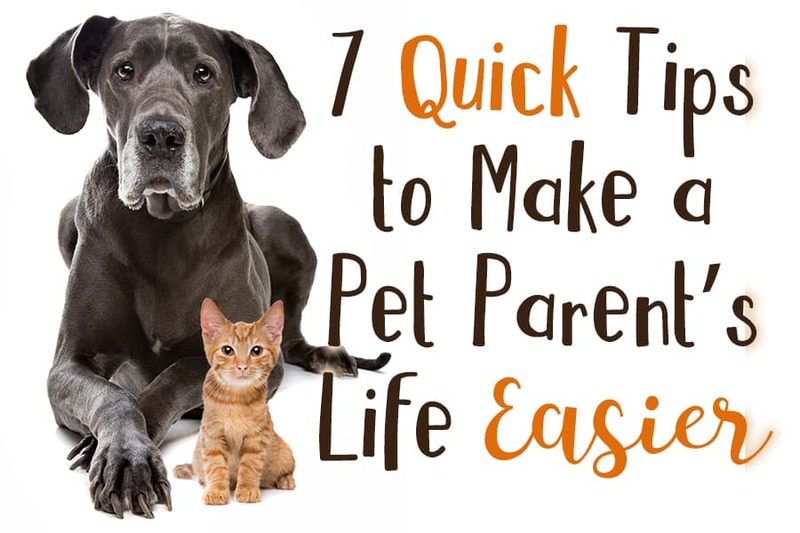 Make sure you use an enzyme-based cleaner to neutralize pet odors. We’ve all come to accept fur and pet messes as part of our lives, but consider investing in a good cordless mini-vacuum for quick cleanups when you don’t want to haul the vacuum cleaner out. Get one with a brush attachment and you’ll be able to quickly remove hair from furniture. They say cats are like potato chips – you can’t have just one! 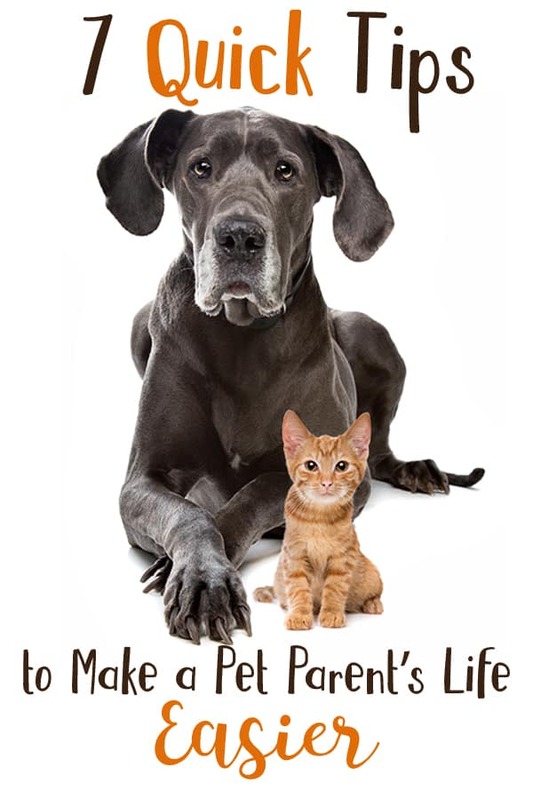 If that’s true in your home and you’ve got more than one feline friend, make sure you’re getting a litter that’s formulated for multiple cats. 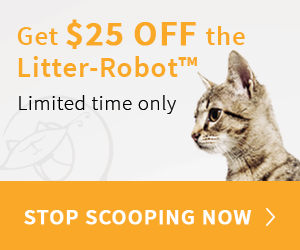 And, scoop the box every day – it’s better for your cat’s health and it’ll keep your home smelling fresh. 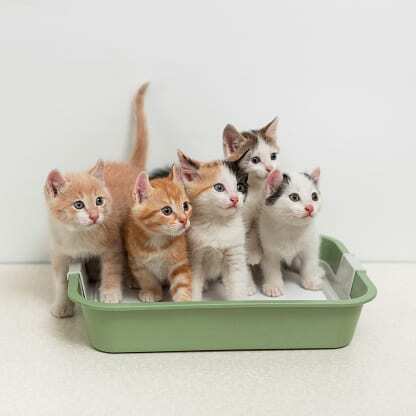 Remember to have one litter box for each cat plus one extra to avoid behavioral issues. Pet parents likely mop more often than people in homes without animals, tracking dirt and litter around the house, but we wouldn’t have it any other way. That said, if you want to save a few bucks – get a mop that has a removable, reusable mop head that you can toss into your washing machine. Wash it in cold water with white vinegar and let it air dry until you’re ready to mop up the next pet mess! 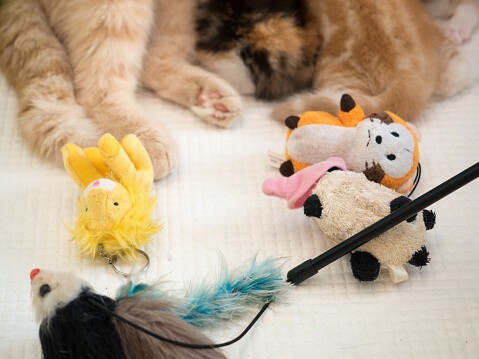 Are your pet’s toys looking worn and grungy? Don’t toss them just yet! Try washing plush toys in your washing machine’s gentle cycle and dry on low heat. Make sure there aren’t any loose parts before you give them back to your pet. Store catnip toys in a freezer baggy in the refrigerator to keep the catnip fresh. When you’re ready to give the toy to your cat, roll it around in the palm of your hand first to help release the oil from the catnip, or give it a spritz of catnip spray to freshen it up. Do you have a really furry pet that sheds like crazy? You already know you should brush your dog or cat every day to cut down on the amount of hair, but – do it outside so the loose hair will simply blow away instead of all over your house! Of course, you’ll want to be sure your cat is safely harnessed if there’s a chance she would run off. When you do your weekly dusting, swap out your paper towels or rags for microfiber cloths. They pick up tons of dust and pet hair! Then just rinse with water and let them air dry and they’re ready to reuse. Do you have any other tips or tricks to add to our list? We’d love to hear them!